Eco-chic is here to stay and we’re excited for all the possibilities going green has to offer. So we went ahead and rounded up a few tips and tricks on how to reduce your carbon footprint without sacrificing style and comfort on your big day. From organic flowers, to conflict-free diamonds, you’ll be the ultimate eco-chic bride in no time! 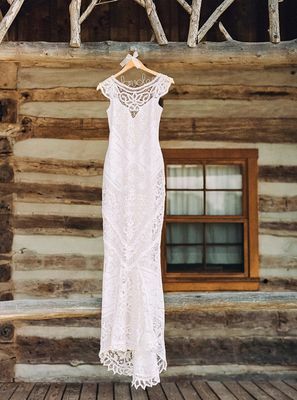 Have you ever considered buying a pre-owned dress? With a variety of consignment shops available, you can find a designer dress for a fraction of the cost, and because it's pre-loved it's also green friendly. Now if buying pre-owned really isn't for you, then try looking for designers that are fair-trade and eco-friendly like Celia Grace and Deborah Lindquist. See the rest of this rustic farm wedding here for even more budget + earth friendly ideas. Your dainties may have been the last thing on your mind when you think of going green. However we found some cute earth-friendly lingerie you may actually want to wear for your wedding night. Brook There and Skin are just a few of the new companies offering an array of organic, ethically sourced materials that are comfortable and stylish. 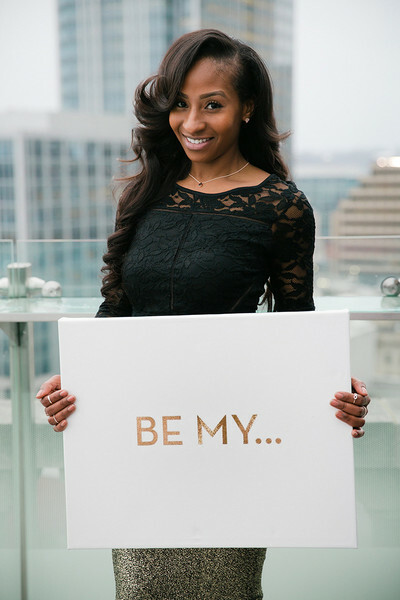 Planning a boudoir session? Check out this boudoir shoot here for more style ideas. 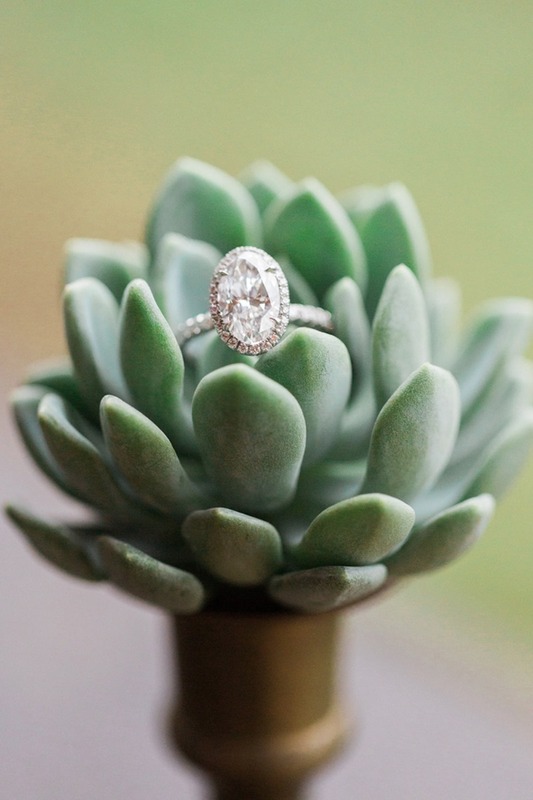 Since diamonds are forever, make sure yours are conflict free! From recycled diamonds and precious metals, Brilliant Earth offers conflict free gems for the eco-chic ring of your dreams. In the meantime, check out the rest of this chic garden farm wedding here for even more green friendly ideas. Let's talk flowers. 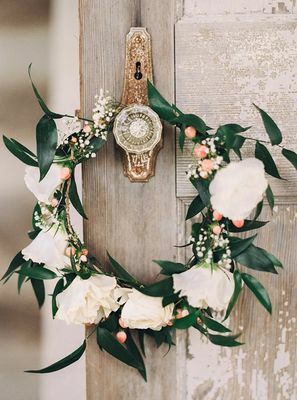 From locally grown (we're a big fan of buying local) to online vendors like The Bouqs Co. and Organic Bouquet, it's easier than ever to have fresh, organic pesticide-free flowers for your wedding day. 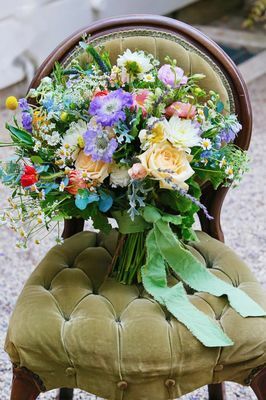 Need some flower ideas? Check out this pretty farm to table wedding here which features organic herbs and wild flowers. 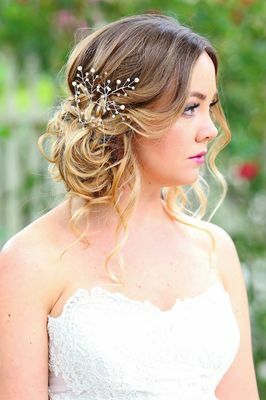 No eco-chic bridal look is complete without a floral crown, or floral hair accessory. With endless flower combinations and the option to buy local and/or organic florals, all you need now is the perfect hair mask for some serious shiny locks. Check out Hello Nature's banana, avocado and coconut oil DIY hair mask here for some pre-wedding hair care. Photography by Kristen Curette. With an ever expanding market for organic, all natural makeup, there's no better time to start your new green beauty routine. One of our favorites, Hynt Beauty offers luxurious cosmetics and skin care essentials that are carcinogen-free for beautiful, glowing skin on your big day. If you're planning on getting your make up done, don't be shy! Check in with your makeup artist and see what kind of products they have available. Photography by Kimberlee Miller. Shoes, oh we love shoes! But did you know you can buy a pair of shoes that are green friendly? It's easier then you think, and you won't be sacrificing style or comfort. Tom's offers vegan shoe options and best of all, for every pair that's bought one pair is donated to someone in need. And did we mention their wedding collection is totally comfy?! 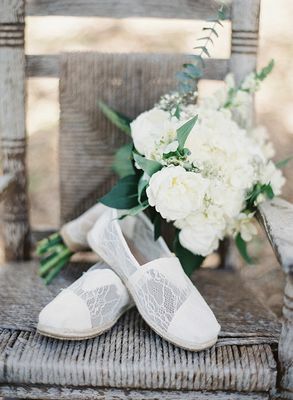 See the rest of this brides lovely day + eco-chic style here.